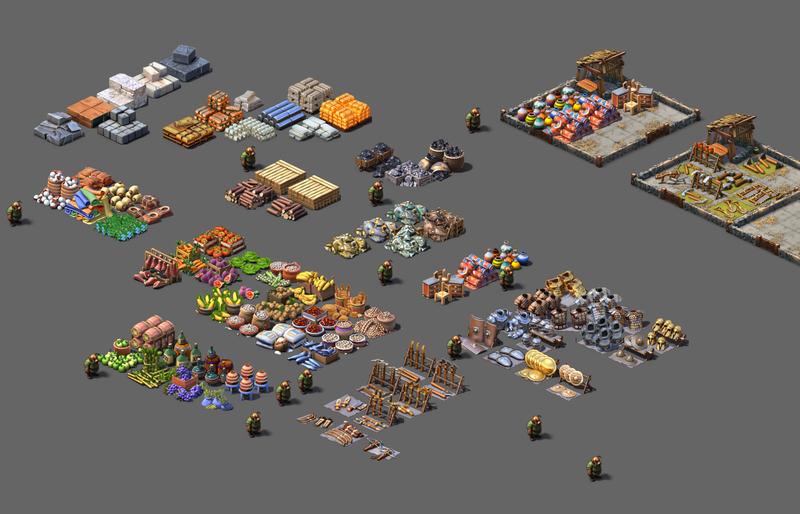 After the buildings, i’ve now completed all the resource graphics! Generic tools resources have been replaced by specific tools : hammers, saws, shovels.. There is now proper ores for each metal, and i added tin, bronze, steel, coal and coke. All previously existing sprites have also been re-rendered and improved with new shaders. I’m also adding lots of pieces of military equipment. There is now about 20 types of equipment: armors, shields, helmets and weapons. They will be used to recruit various units. Which leads to the last step of graphical contents : units. I’m happy to report that i’ve completed all the buildings. It took more time than expected as 20 turned into more than 30 new types of buildings! In total, i had to make more than 80 new building designs, as each type of building has up to 4 evolutions. The buildings are not integrated in game yet, which will also require a decent amount of work. I’m now working on all the missing resource sprites (each resource has its own sprite with 8 levels of filling, and there’s quite a lot of new resources to add as well as resources i had never modeled ). 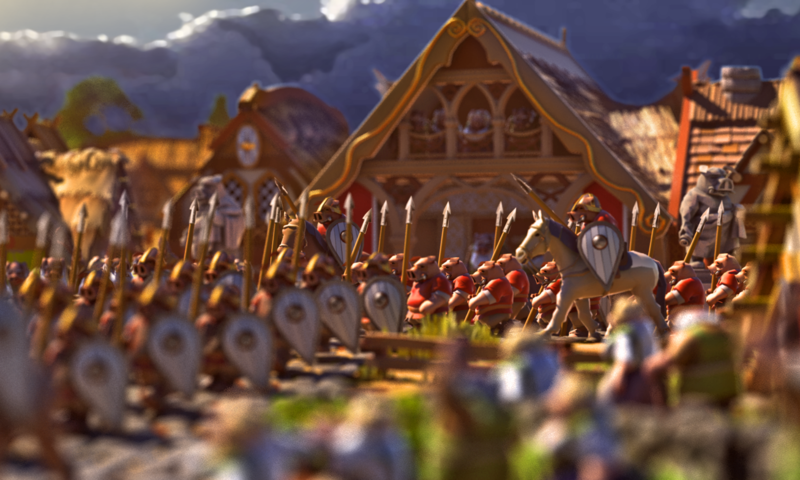 Then i will be modelling and adding new units. When this is complete, that first step out of 5 will be completed, with all graphical assets finalized. As a teaser, here is below a photoshop composition of some of the new buildings that I used as i designed them to check scales and style continuity. This is not an ingame screenshot, but it gives a good idea of the new look cities will have. Metallurgy is beeing complexified. I’m adding ores and I split the mine and fundry in 2 separated buildings. Also added steel making buildings. I’m also adding tin, bronze, charcoal, coal and coke. Modular wind and waterwheels will be available for various buildings as an annex, providing efficiency bonuses. A photoshop composition of some of the new and redesigned buildings. 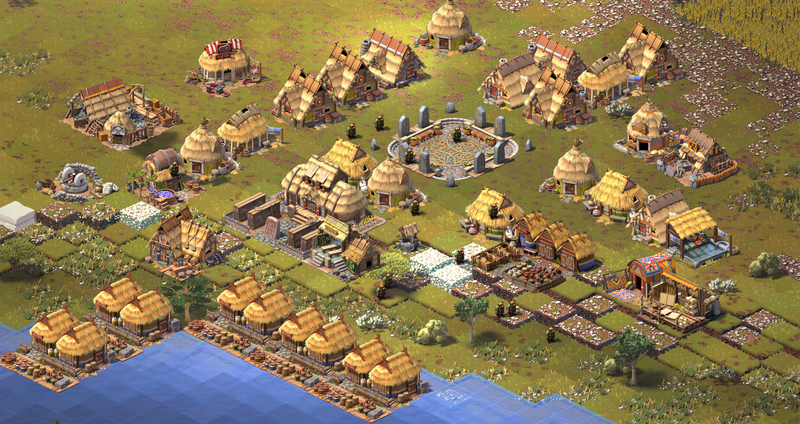 Here is a collection of “iron age ” buildings, which is level 3 out of the 4 of the release version.